5.2 kg. 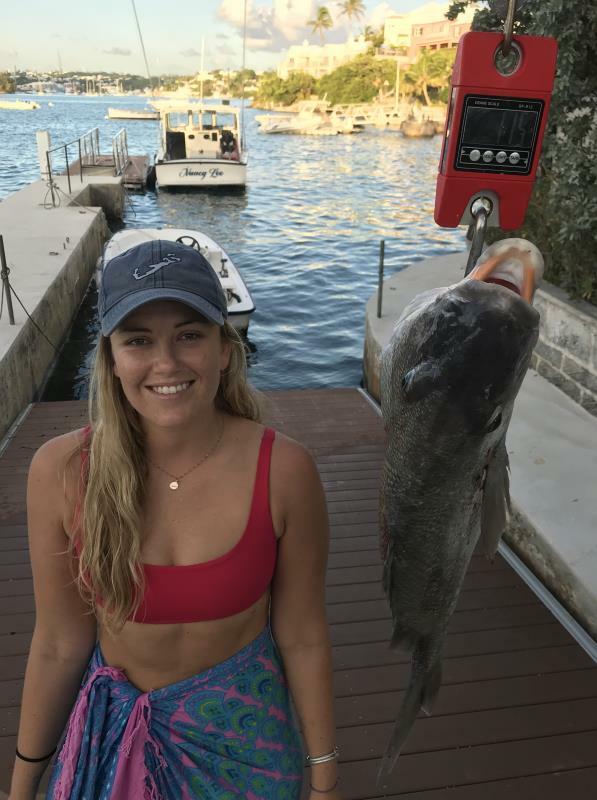 , 11.5 lbs. I handn't been out diving for about a month because of bad weather. we were swimming through the reefs and I saw a small tunnel with what looked like two snappers. One of them a really nice size. I dove down and curled over the top and the fish was hiding there. I got a good shot right behind the pectoral fin but realized it was a margate! We took it back to the dock at the end of the day, weighed it and it turned out to be a world record! Such a fun day!